Jackson State’s legendary baseball coach Robert “Bob” Braddy has received his fair share of accolades during his career as the Tigers’ head coach, but there is always room for one more award in the trophy case. Recently, the National College Baseball Hall of Fame named Braddy to its 2016 Induction class. 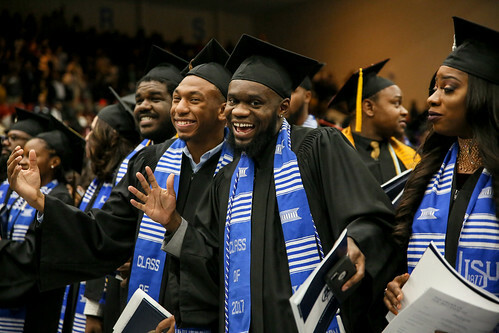 After graduating from Jackson State, Braddy spent the next 34 years in service to his “dear old college home,” as either the baseball coach or athletics director. During that time span, he participated in and oversaw some of JSU’s greatest athletic successes. Braddy is only the second coach from the SWAC to be inducted into the NCBHOF. Grambling State’s Ralph Waldo Emerson Jones was inducted in 2011. “One of the greatest things is to be recognized by your peers,” Braddy said. Braddy is the winningest baseball coach in Southwestern Athletic Conference history (824 wins). From 1973 to 2001 his teams won 12 conference championships, more than any other coach in league history, and he led the Tigers to three NCAA Tournament appearances, two NCAA play-in games and four NAIA Tournaments. He was named SWAC Coach of the Year nine times. During his 28-year coaching career, 52 of his players reached the professional ranks, producing two first round draft picks in David Clark (1983) and Earl Sanders (1986). In 1978, his Tigers posted a 52-12 record, which is a SWAC and JSU record. Braddy also played baseball for the Tigers under head coach Joe Gilliam Sr. and was named an All-Conference selection in 1962 and 1963 as a pitcher. “Jackson State University has been so great to me. To think that in 1973 a country boy was chosen as Jackson State’s first head baseball coach and now this. I had no idea that this would be the end result,” he said. In 2003, Braddy became the first African-American to be inducted into the American Baseball Coaches Association Hall of Fame. He was also inducted into the JSU Sports Hall of Fame in 1985 and the SWAC Hall of Fame in 2005. In 2009, JSU’s home baseball facility was named Robert L. Braddy Sr. Field in his honor. Although he has not coached on the collegiate level since 2001, Braddy is still a fixture in baseball. He recently received a charter to start a little league baseball/softball team in Jackson. This year’s National College Baseball Hall of Fame class includes: Matt Desalvo (Marietta College), JD Drew (Florida State), Augie Garrido (San Francisco State/Cal Poly/Cal St. Fullerton/Illinois/Texas), Rick Monday (Arizona State), Tom Paciorek (University of Houston) and Tommy Thomas (Valdosta State). For more information about the National College Baseball Hall of Fame, visit: collegebaseballhall.org.